MainAll NewsDefense/SecurityUS donors responsible for foiling major terror attack? US donors responsible for foiling major terror attack? Security camera which was instrumental in foiling terrorist infiltration into town was paid for by One Israel Fund in the US. A terrorist infiltration into an Israeli town in Samaria was foiled last week – thanks in large part to security cameras paid for by donations from a US-based pro-Israel organization. Last Friday night, two terrorists attempted to infiltrate the Israeli town of Rehelim, just south of the Tapuah Junction in Samaria. Local security personnel responded just before the terrorists breached the town’s perimeter, though the two suspects managed to flee the scene. 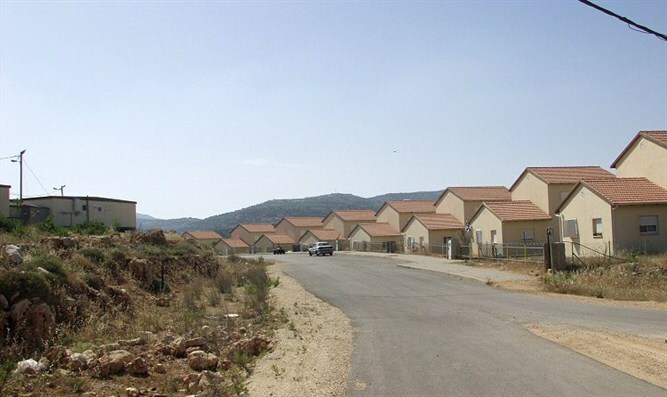 Activist Ayelet Lasch, a resident of Rehelim, said the infiltration could have ended in “disaster”, had the town’s security team not responded in time. "I think that a disaster has been prevented,” Lasch said. In recent years, terrorists have infiltrated Israeli towns – typically at night, and often on Friday night, during the Sabbath – and massacred residents in home invasions. In March 2011, Amjad and Hakim Awad infiltrated into the Samaria town of Itamar on a Friday night and slaughtered five members of the Fogel family in their home. A similar attack took place in July 2017, also on a Friday night, when Omar al-Abed infiltrated into the southwest Samaria town of Halamish (Neve Tzuf) and stabbed three Israelis to death, and wounded a fourth. The most recent infiltration attempt was foiled after the terrorists were spotted on security cameras paid for by a US-based group which raises money to help secure Israeli towns. The One Israel Fund, based in Cedarhurst, New York, paid for the cameras, after the defense minister and prime minister failed to approve funding to enhance security measures at high-risk towns. The cameras proved instrumental in foiling the infiltration, enabling the town’s security team to rush to the scene. Samaria Regional Council chief Yossi Dagan said the town’s reliance on foreign donations for its security was ‘scandalous’.